Spotted Cow Review: Where's the ZERO Milk? I dreamed about a milk called ZERO. Is that not crazy? This crazy dream was so real that it took a trip back to the store where I do my weekly grocery shopping to prove to myself that it wasn't true! Thankfully, all I found was the gallon jug of skim milk with a large zero at the top of the label. 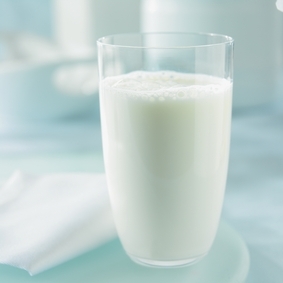 My search for Zero Milk reminded me that all milk--whole,2%,1%,skim or zero--provides nine essential nutrients. Essential nutrients must come from the diet because the human body can't manufacture them. Calcium to help build and maintain healthy bones and teeth. Potassium to regulate the body's fluid balance and maintain normal blood pressure. Phosphorus to strengthen bones and generate energy in the body's cells. Protein to build and repair muscle tissue and serve as a source of energy and satiety. Vitamin D to promote the absorption of calcium and enhance bone strength. Vitamin A to maintain normal vision and skin. Vitamin B-12 to maintain red blood cells and nerve cells. Riboflavin to convert food into energy the body can use. Niacin to help digest carbohydrates and fatty acids. You can find more information about dairy nutrition and great recipes for your family at DairyMakesSense or Midwest Dairy. I know without a dairymom doubt that all milk is packed with nine essential nutrients!